Was a remix edit entirely necessary? No. Then again, the initial edit wasn't that elaborate itself. Since I've been busy editing for everyone else but myself this year, I thought it would be fun to present something kind of new before Christmas. 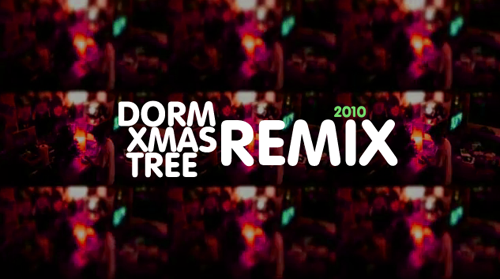 I've remixed my popular Dorm Xmas Tree time lapse video from 2006 for a bit of fun. What is Christmas good for if not a bit of nostalgia, right? The new mix livens things up a bit and was fun to put together just to remind myself what my Christmas' were like when they were divided between home and film school. With those days behind me now, I'm really glad I created little edits like this in the first place for quick flashbacks whenever I want. Enjoy the remix.